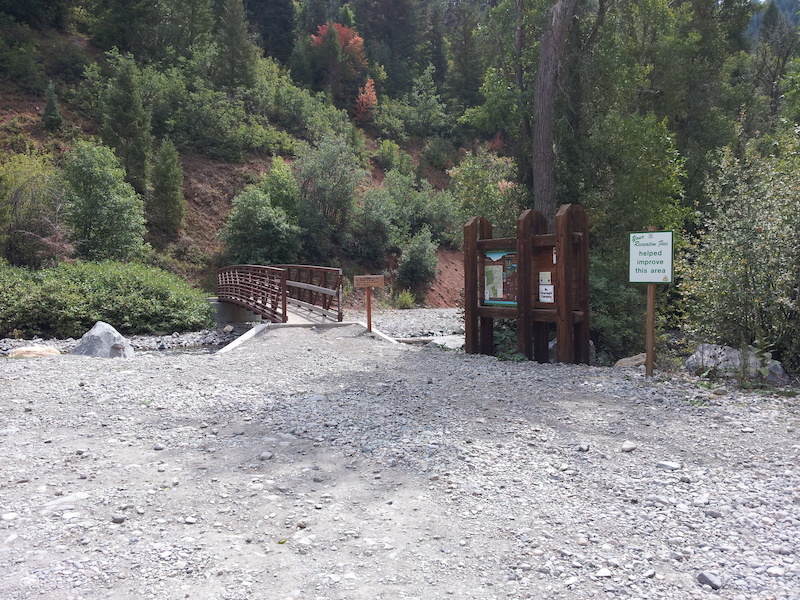 A relatively new trail head was built here with a bridge. Though once you cross the bridge you must turn right and kind of ride down stream until turning left onto the trail. It appears nice at first, then goes straight up an old dirt road that is typically rutted and trashed. Note that not many cars can fit here, maybe 6 if tight. The main parking at Tibble Fork Reservoir is bigger and more chance of getting a spot.